Over 300 shows and events from June to July. The festival casts its spell across the venuel and promises to take you to the extreme end of visual theatre with over 300 performances of 55 different shows including top international guest magicians from all over the world! Be amazed as Melbourne becomes a magical hub in winter for 13 days only with special events, workshops, and live shows for everyone from child friendly to adults only. 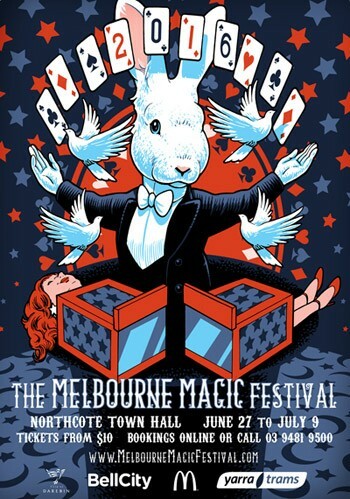 In addition to over 60 magicians from all over Australia, the Festival is proud to welcome special guests John Archer from the UK, and magic legend Max Maven direct from Hollywood. Mind reader Max Maven is described as “Category defying” (New York Times), “Wonderfully esoteric” (Chicago Tribune), “Delightfully droll” (The Stage, London) and “The most original mind in magic” (Orson Welles).